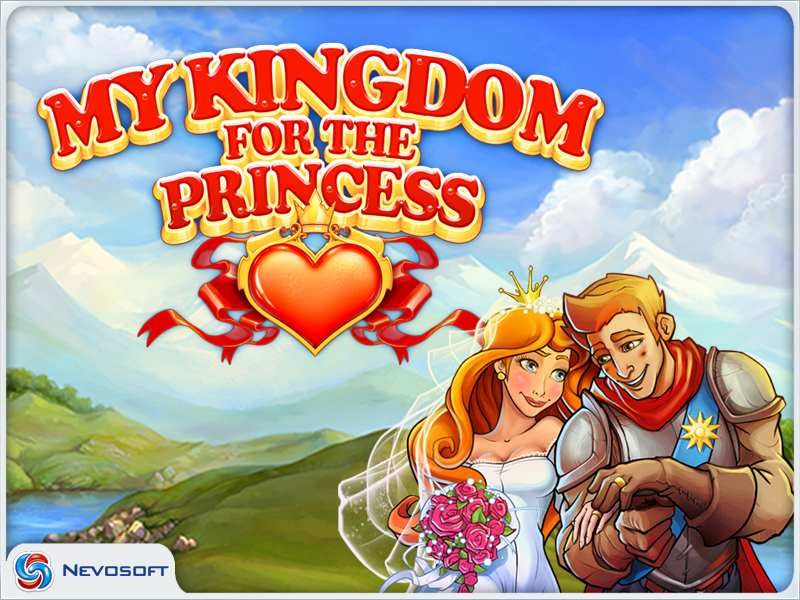 Game My Kingdom for the Princess for iPhone and iPad. 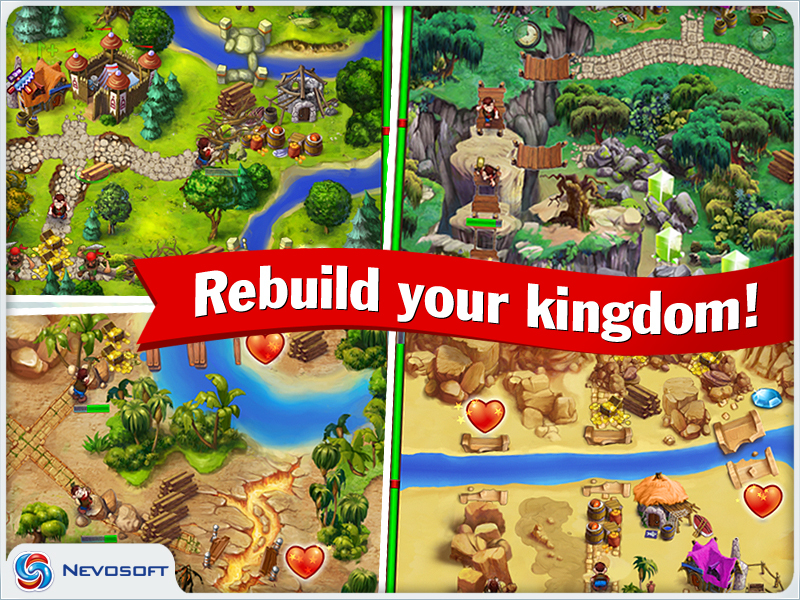 Download game My Kingdom for the Princess for iPhone and iPad for free at Nevosoft.Com. 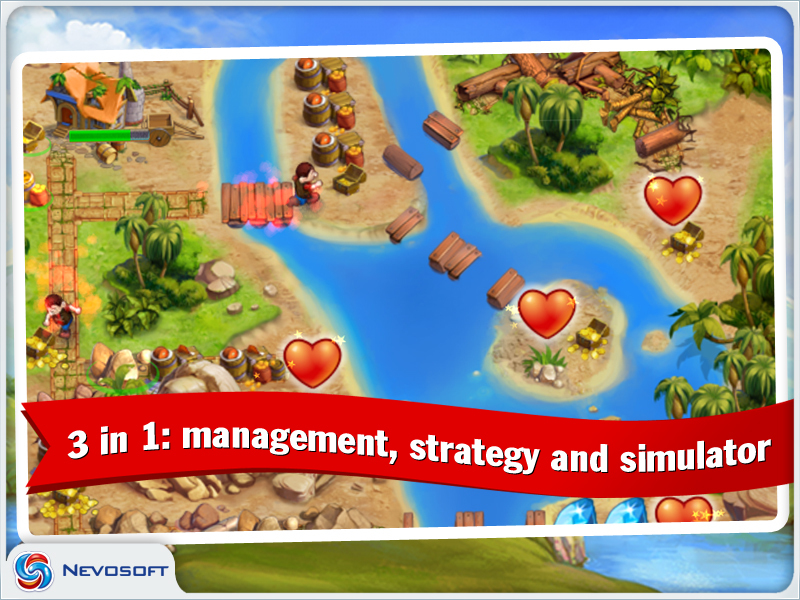 Description, walkthough of My Kingdom for the Princess for iPhone and iPad, buy game. 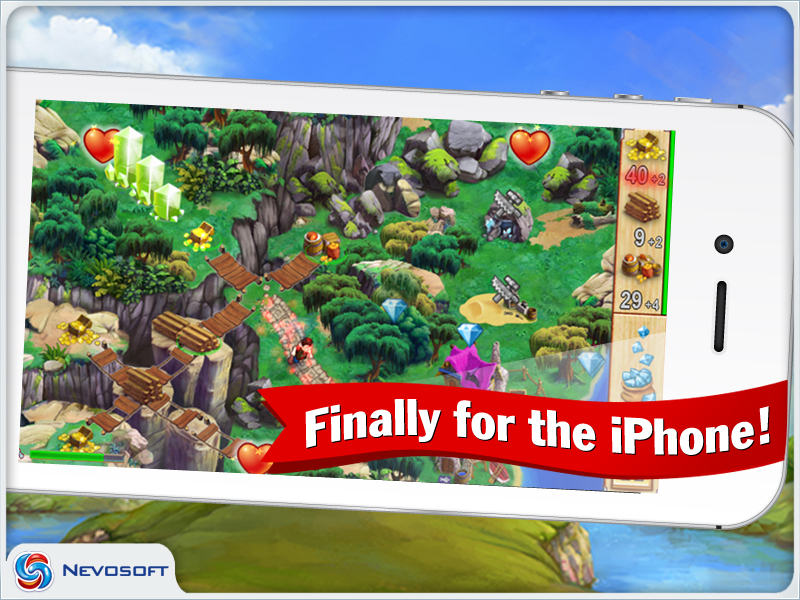 At last, "My Kingdom for the Princess" is now available for iPhone! With its amazing gameplay that combines time management, strategy and simulation loved by many, along with new characters, and an entertaining plot, this game is guaranteed to excite even the most seasoned players. Prince Arthur has just married Princess Fiona. There has never been a more beautiful wedding in the kingdom! However, he inherited the poorest, decrepit, lands in the distant, far reaches of the kingdom. In order to become lawful heirs of all the lands, they're faced with a difficult ordeal - to restore to the neglected areas their former beauty and prosperity! Turning the rundown, neglected lands into blossoming territories isn't an easy task. Repair the broken down roads, free the forest from the villains' invasion, lead the bees out of the islands and the snakes out of the desert. Your faithful workers will help you restore order: optimize their work process and distribute your resources so that you can finish on time! 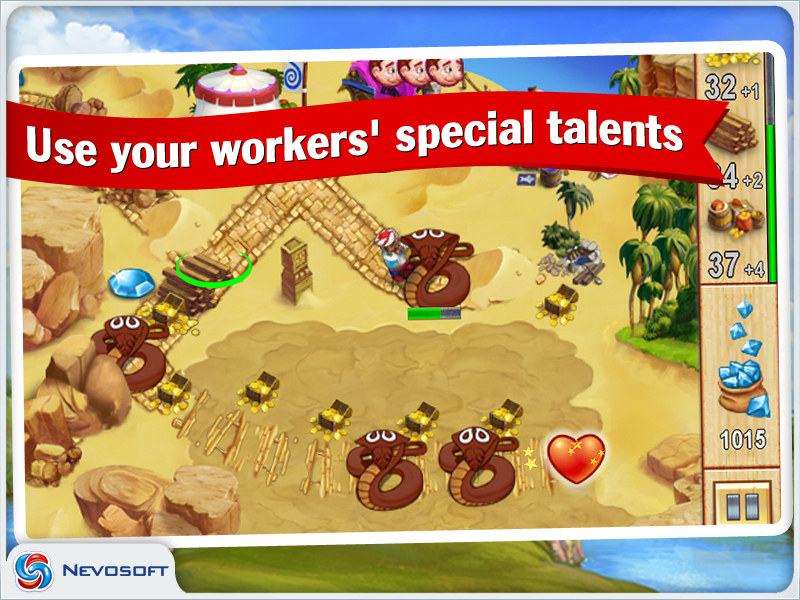 Use the different bonuses that will help you complete the levels faster: additional workers as well as handy power-ups that make your workers run faster, work quicker, gather extra resources, and many more. - special workers - snake whisperer, hunter, soldier. Pass all the trials and receive a well deserved award!